Italy is a fascinating destination for lovers of Old Masters, but it also has attractions for contemporary art lovers. Private art foundations, often based in former industrial sites converted into cultural venues, are playing an important role in shaping the contemporary art scene. 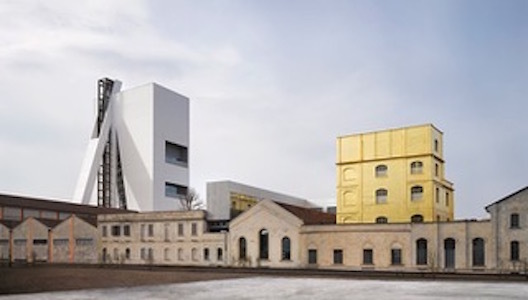 Prominent examples are: Fondazione Sandretto Re Rebaurengo in Turin, created by collector Patrizia Re Rebaurengo and located in a converted railway engine shed; Fondazione Prada, developed by Miuccia Prada and Patrizio Bertelli and built around their private art collection in a part of Milan which used to be a distillery; and Fondazione Pirelli Hangar Bicocca in a building in an industrial quarter of Milan originally used to build railway carriages and locomotives. These fondazioni organize multi-disciplinary exhibitions and educational programmes which incorporate painting, sculpture, performance, and multi-media installations. The exhibitions also encompass photography, cinema, video, design and architecture. The fondazioni collaborate with Italian and international museums, and with other institutions and schools, in an effort both to provide artists with new possibilities to explore and to make contemporary art accessible to a wider audience. Silvia Badiali is a professional Adviser on Art and Finance. She regularly speaks at international art fairs, and at universities in Italy, about the art market and art as an investment. Silvia graduated in economics from Bocconi University in Milan and took a Master’s degree in Contemporary Art at Sotheby’s Institute in London. She worked in the City of London as an investment banker for more than twenty years, before devoting herself to her real passion, the visual arts. Please note that if you would like to book tickets for both members and guests, you will need to make two separate transactions (for credit card payments).